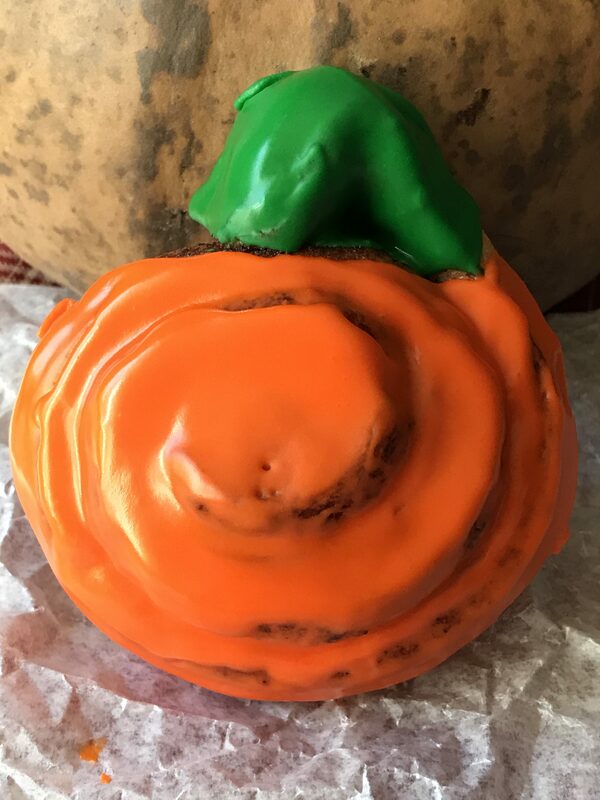 Pumpkin Shaped Cinnamon Rolls are the perfect treat to enjoy on Halloween morning or any morning really. 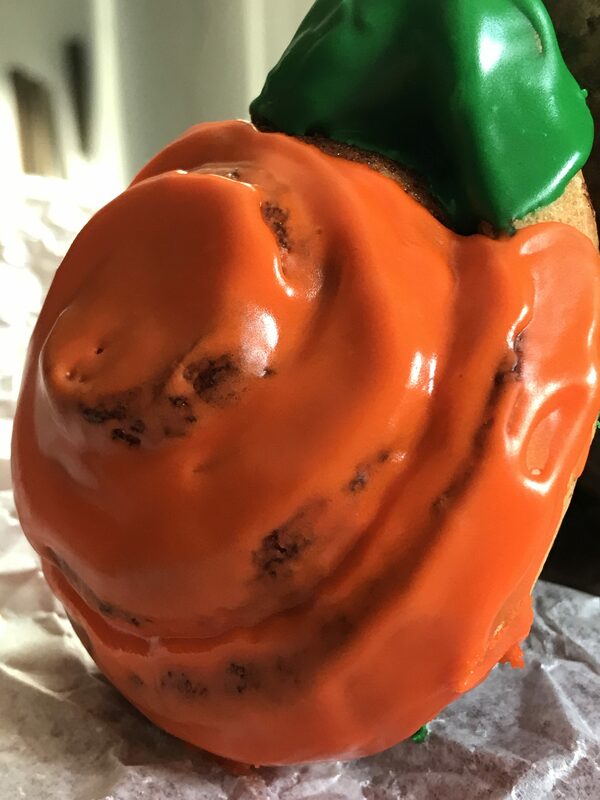 Cinnamon rolls are always a favorite but when shaped into a pumpkin and smothered with tinted frosting, even better. Top it off with a cup of fresh brewed, hot coffee and you have a fast, easy and delicious breakfast. Looking for a quick and easy breakfast option to serve on Thanksgiving morning? 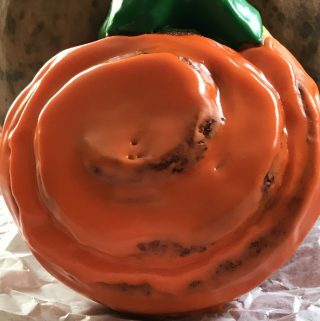 Why not serve these pumpkin shaped cinnamon rolls. Fast and easy to prepare, these cinnamon rolls will leave you with plenty of time in the kitchen, for more important things…like preparing your Thanksgiving meal. If you don’t want to prepare pumpkin shaped cinnamon rolls on Thanksgiving morning, why not make them on Friday morning before you head out the door to fight the traffic, hoards of people and long lines, that are sure to greet you when you are out and about on Black Friday. Who wouldn’t like to take a big bite out of one of these super, duper cinnamon rolls?!? Try these pumpkin shaped Cinnamon Rolls for breakfast this Halloween or make your Thanksgiving brunch table special with these festive shaped cinnamon rolls. Open cans of cinnamon rolls. Unroll the end of the cinnamon roll about an inch and half or so. Bend it over the top of itself and gently pinch it together, right at the top of the round forming a stem for the pumpkin. Place on a baking sheet sprayed with non-stick cooking spray. Bake cinnamon rolls for 20 to 22 minutes or according to package directions. While the cinnamon rolls are baking, remove about 1 1/2 tablespoons of frosting from the included container. Add the green food coloring and stir. Use this for the stem end. Add the orange food coloring to the remaining icing and stir well. Use this for the pumpkin part. Once the rolls have finished baking, let them cool slightly. Frost the stem end with the green tinted icing and the pumpkin part with the orange frosting.